For a non-binding and absolutely free price estimate, contact our 24/7 customer support staff at 020 3746 1366 or online here now! Ashlee House Cleaning has been providing professional rug and carpet cleaning for residential and commercial properties as well to the residents of Blackhorse Road E17 for over 10 years. We work only with trained, recommended and vetted cleaners, who are equipped with the latest expert cleaning technologies and with safe and yet highly efficient cleaning solutions. Our cleaners are trained and experienced to clean any kind of carpet or rug, and to remove a wide variety of different stains, such as: oily stains, paint, blood, wine, rust, coffee, tea, vomit as well as repair moth damage. We can offer you reliable and affordable deep carpet cleaning through the use of the most efficient and latest carpet cleaning methods suitable for carpeting with synthetic or natural carpet fibres. Our dry carpet cleaning Blackhorse Road is the best way to clean and rejuvenate delicate carpets or rugs which cannot be washed with water. The carpet cleaners inspect and hoover the carpet, pre-treat any stains that can be taken out and continue with the dry compound cleaning process. It needs no drying time. The steam carpet cleaning is done with the help of a powerful hot water extraction machine. The steam carpet cleaners will shampoo and then wash your carpet and will extract over 95% of the water used back into the cleaning machine. Your carpet will take 2 to 3 hours to dry. If you are in a hurry, we can use an air moving system to accelerate the drying process to about an hour. Since we initially began offering a carpet cleaning service to all homes and buisnesses in the area, we have been continuously focusing on enhancing our performance in order to reach our goal of having 100% happy clients. 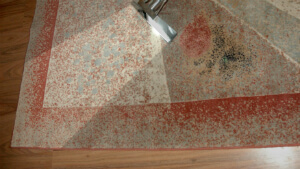 We carefully choose our carpet cleaners in Blackhorse Road E17, background check them and then train them meticulously. Ashlee House Cleaning is the recommended professional cleaning services provider around because we work with only modern and safe cleaning equipment, and eco-friendly detergents for spot removal, deep cleaning and fibre protection. We can get all carpet types cleaned and at a very reasonable, fixed price. If you want to book our carpet cleaning specialists in Blackhorse Road E17, you can do it without a deposit! All you should do is use the online contact form or get in touch with the 24/7 customer care centre at 020 3746 1366. We have fixed and affordable prices, and will not ask you to pay hidden fees. If you order another one or more of our services along with the carpet cleaning, we will give you a discount. Make the most of this excellent offer now and make your reservation right away.